This is a partial listing of the dive sites in the Westpunt area. 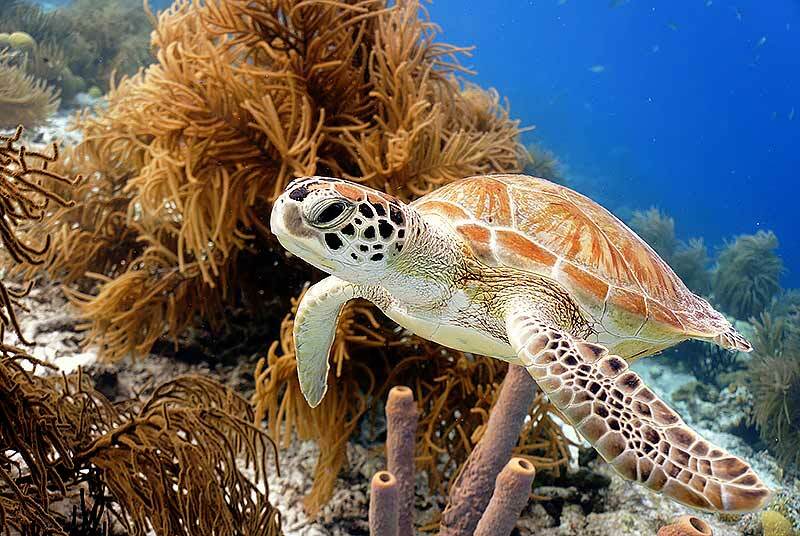 „Neptune’s Reef“ is just in front of All West Apartments, this easily accessible dive site offers a nice steep wall and a big opportunity to see turtles. These can normally be found at the end of the fisherman’s pier chomping away on discarded fish. In the shallows you will find old V6 engine blocks used by the local fishermen to anchor their boats; a perfect habitat for juveniles, all types of moray eels and lobsters. Several seahorses and frog fish have been spotted here as well… Do not forget to pay a visit to our statue of King Neptune placed just in front of the pier at 30’ at the beginning of 1997. This Fokker Fairchild 27 once flew regularly for Antillean Airlines as an island hopper between the ABC Islands, Aruba, Bonaire and Curacao, and afterward came to rest at the premises of Curacao’s International Airport Hato. In 2006 the Fire Department donated the airplane to All West Apartments & Diving and Go West Diving to create a new diving attraction at the west end of the island. The plane lies now on a sandy patch surrounded by stunning hard coral formations. 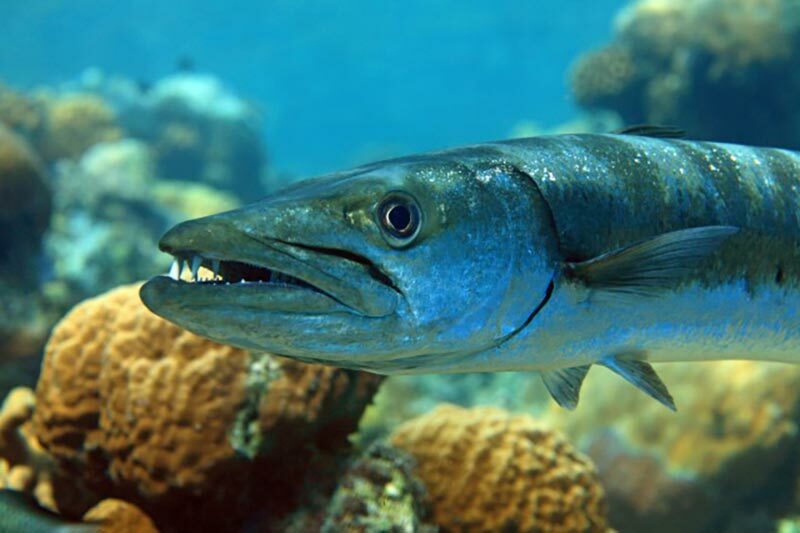 Regularly a drift dive that can finish around the point of Watamula where schools of barracuda can be found. Turtles, ocean trigger fish, lobster, porcupine fish and green morays plus large schools of bogas are also seen here. Also known as Dwayne’s Release, this dive site can attract some stronger currents, so it occasionally becomes a drift dive. 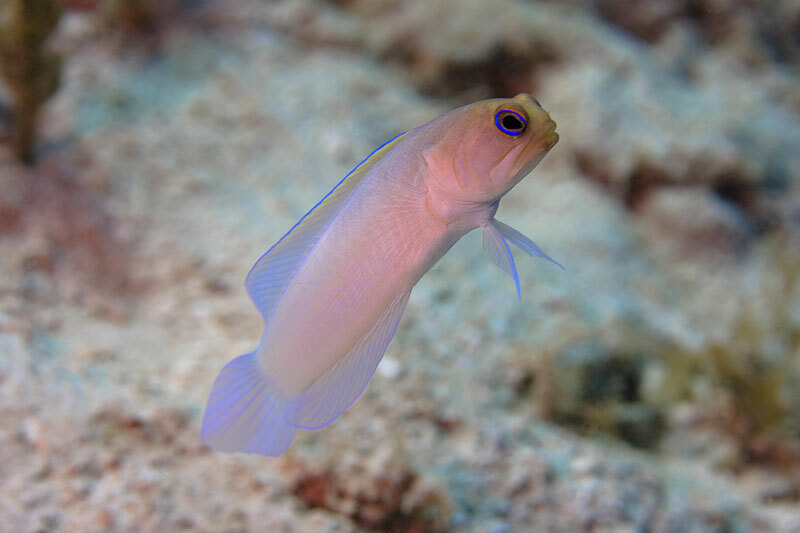 Attractive hard corals are mixed in with beautiful soft corals which make nice habitats for seahorses and slender file fish. Look out for Bonnie the balloon-fish which floats in the shallows around the mooring. Turtles and rays also frequent here. Between Klein Knip and Playa Jeremi we discovered a little bit of „Paradise“! 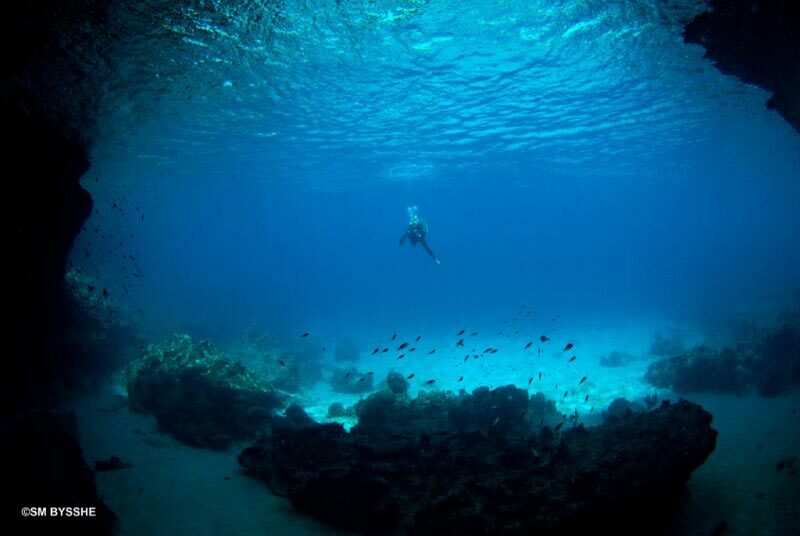 This dive site is reachable by boat only and as far as we know, we’re the only center diving there. A great variety of big hard coral colonies and colorful sponges are found here and is home to many barracuda, green morays and lobsters. Along the shoreline there is also a small cave that can be accessed on calm days where you will find large schools of glassy sweepers, numerous lobsters and crabs. It’s named for the abundance of black coral found here. 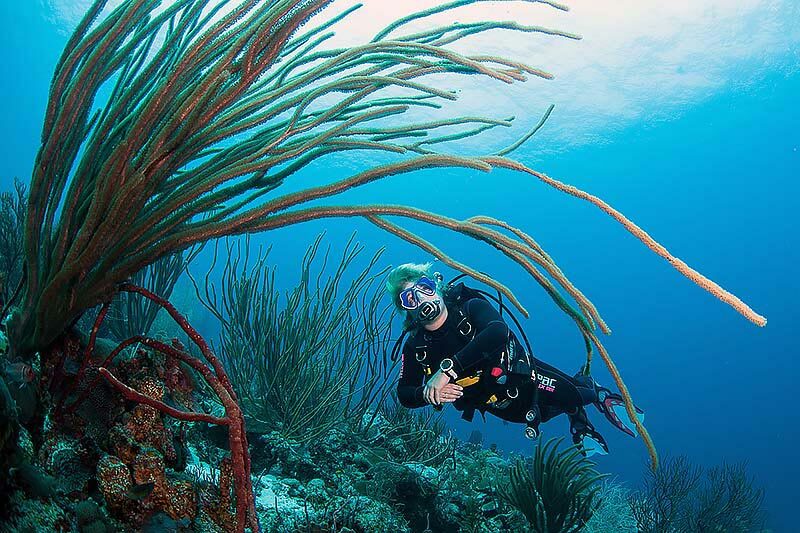 Once almost extinct black coral is now protected and making a comeback. This is a steep wall with black coral found from 40’-120’. Deep water currents provide this rarely visited dive site with excellent visibility and make it a good site to spot some larger marine life. 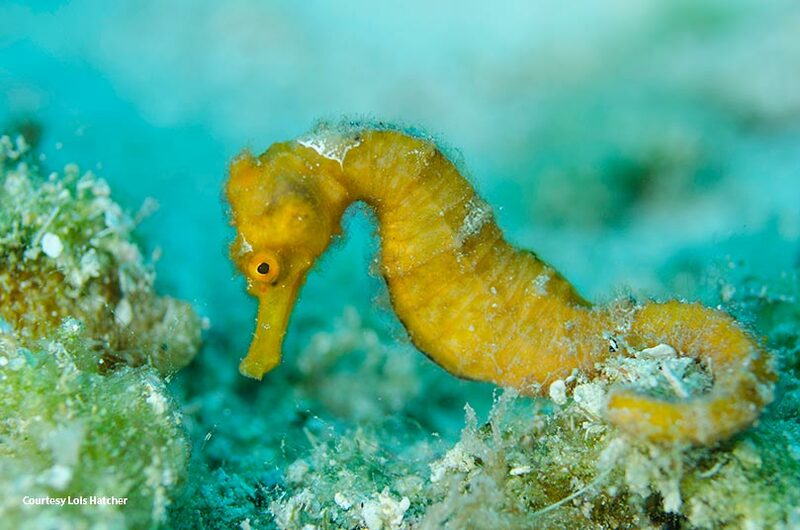 Probably the best chance to spot seahorses as well as eagle rays. Mooring depth is 15’ so the safety stop is spent hovering around numerous soft and hard corals. Beautiful sandy channels and steep topography gives this dive site a unique feel. 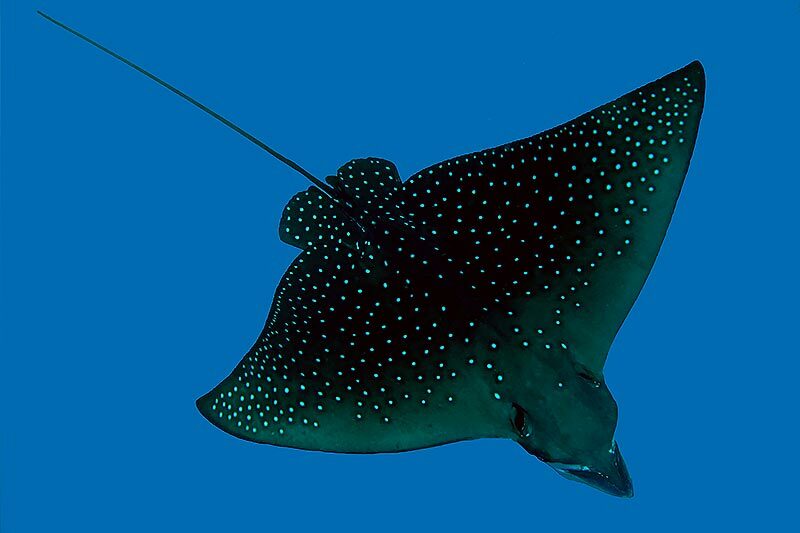 Eagle rays, turtles, Barracuda and porcupine fish are regularly spotted here. One of our top dive choices. This unspoiled reef lies just 100 yards offshore from a postcard perfect, little sandy beach tucked beneath the cliffs. The property inland belongs to Land House San Nicolas. The beach and dive site are named after Hulu, an escaped slave who lived out his final years as a free man in the rugged hills of Banda Abao, frequenting this beach to fish. 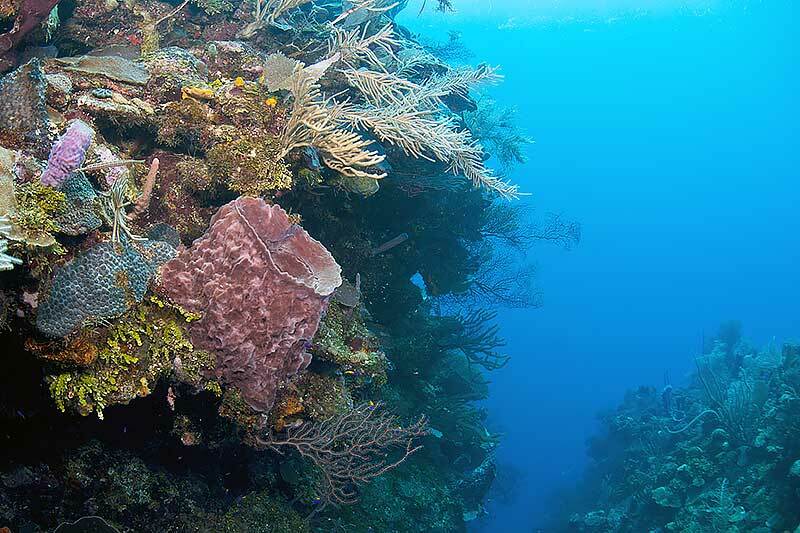 Boca Hulu is a fairly steep wall with healthy stony coral formations and it is here that you start to spot a variety of colorful soft corals. 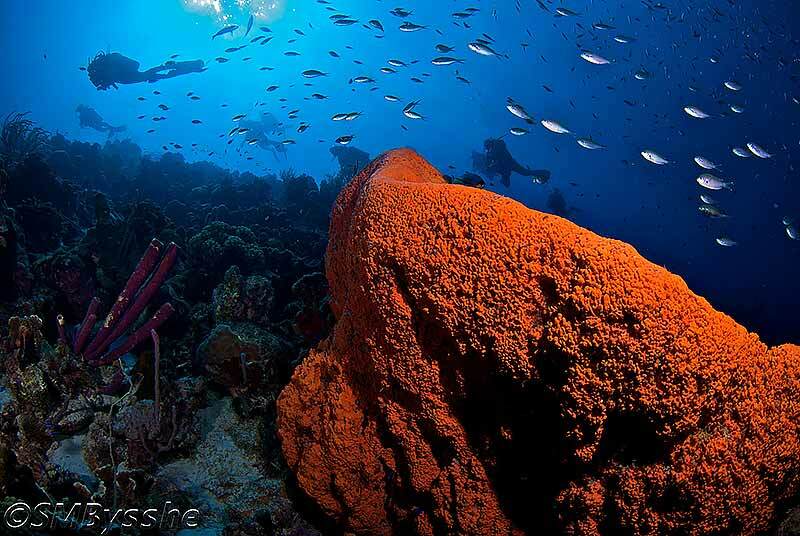 This site derives its name from the abundance of colorful sponges found there. Examples include orange elephant ear sponges, purple stove pipe sponges, barrel, tube, rope and vase varieties. There is much more than just sponges to this site though as the currents that can move through here keep the coral healthy and attract large fish varieties. Also known as Boca Santu Pretu & Playa Chikitu, there is a 120 foot shipwreck of the Catherine. It lies upside down in 20 feet of water surrounded by colonies of Garden eels and is nicely encrusted with brain corals and sponges. The wreck is split in 2 and lies upside down with small areas that can be explored. Divers proceed across the sandy plateau after the wreck to finish the dive on the northern part of Mushroom Forest. Named after the coastal village of Lagun, this site offers a lot of diversity in both coral and marine life as well as a small cave for those who dare. We start on a sandy plateau and then slowly reach the reef wall which houses some of the larger coral heads on the island. One of the best spots to find turtles!! Named after the small public beach, this reef wall offers some impressively large stony coral formations and a lovely shallow area where squid and yellow headed jawfish can be found. Its also possible to spot rays and bluespotted cornetfish here. This rarely visited dive site offers a healthy blend of hard and soft corals culminating at a gorgeous plateau 50 feet down at the point. A treat for sponge lovers. 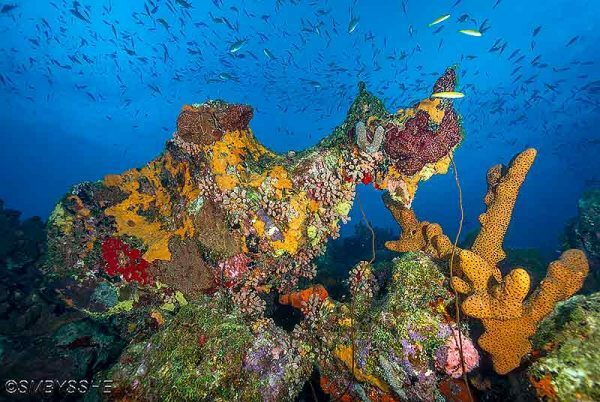 You won’t find this site on the Curacao dive maps, but we’ll take you there!! This well hidden cave gets its name from the dazzling blue color of the water when viewed from inside. Look out for lobster colonies next to the underwater pinnacle. It makes a great snorkel spot and an excellent surface interval between 2 tank dives. Can also be used as a starting point for the Mushroom Forest dive. Thrill seekers can also leap from the cliff above the room. This expansive area of coral flats is named for the striking mushroom shaped coral formations. 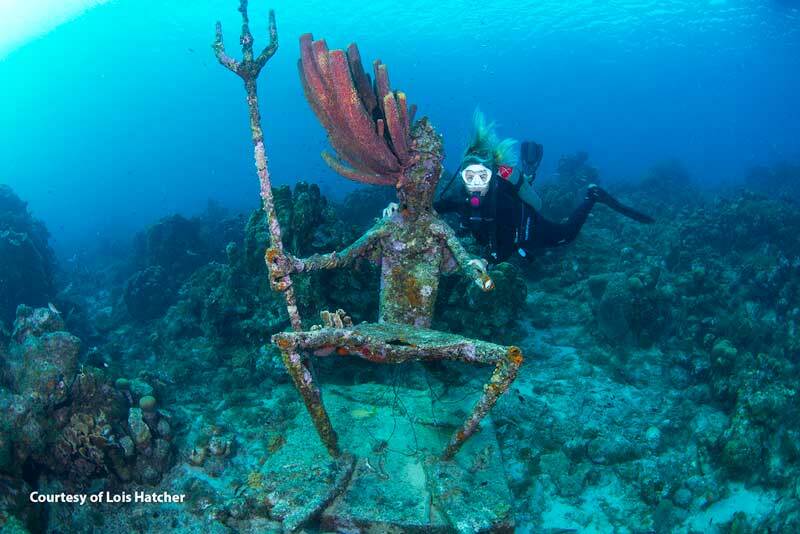 This is one of the top dive sites of Curacao and it is always written up in Diving Magazines! 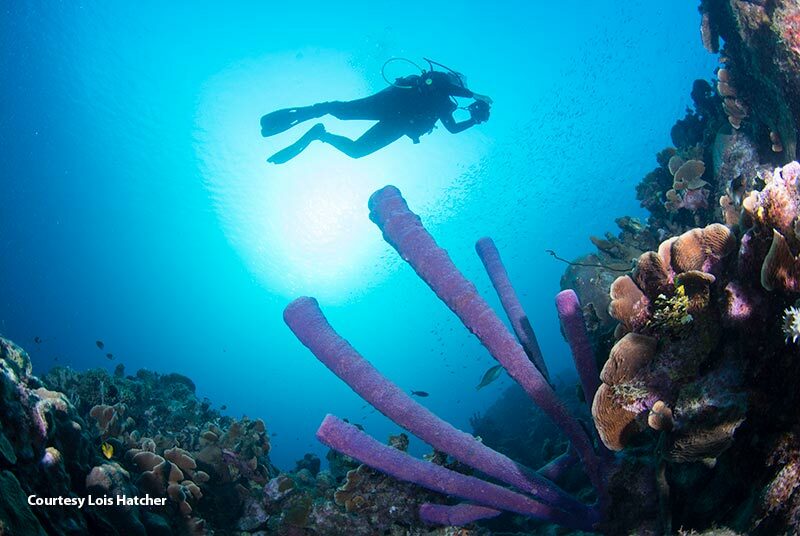 It is a great place to practice your navigation while spotting the vibrant reef life. Most life is found around the 40ft/12m to 50ft/14m mark where gigantic mountainous star coral formations are still evident and attract giant moray eels, porcupine fish, barracuda and lobster. Watamula derives its name from the Dutch word “Water Mollen” (Water Mill); name of the bordering National Park. 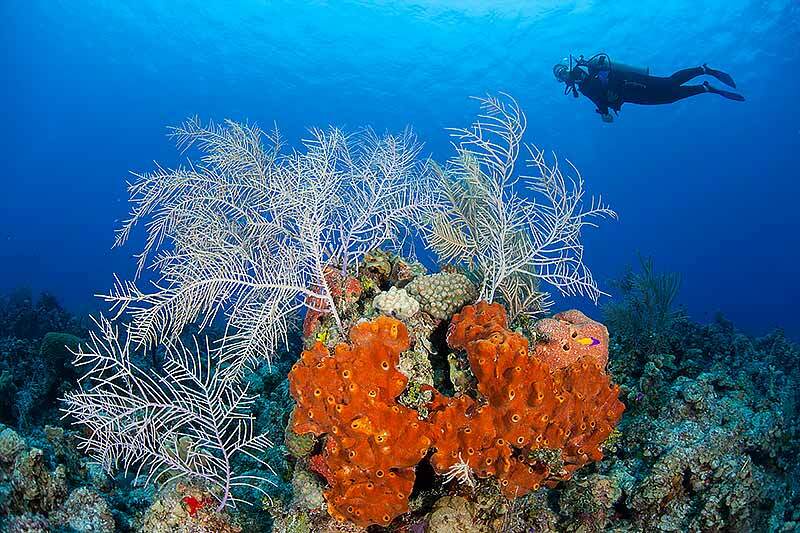 Its pristine hard coral formations make this one of the top dive sites of the island. On either side of the hard coral field lay two sandy patches full of giant barrel sponges and soft corals. Occasionally strong currents make for a great drift dive. Regular sightings of ocean triggerfish, chubbs, porcupine fish, bogas and rays.